Your source for Defender news! 7th boys basketball winning district!!! 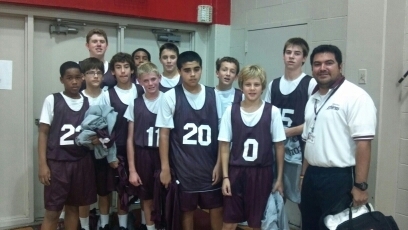 7th grade boys went the whole district play with only one loss, and that loss was to Garner Middle school. There end of the year tournament is at Garner Middle school,starting at 6:30pm. 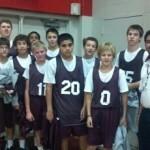 CONGRATS to the 7th grade basketball team on winning District ! Boy’s A-team lost to Jackson by 8, 40-32. A-team’s next game is Monday on the 28th of January, all games start at 4:30. 8th is away and 7th is home come support your Driscoll athletes and cheer them on. 8th grade field trip to High School!! 8th graders went to their respective high schools for a field trip on Wednesday. Some students went to MAC, others to Madison, and a few went to Johnson. At the field trip, we saw the electives and they showed us what was cool about each of them. The cheer teams were good as well, as was the JROTCs. A lot of the 8th graders can’t wait for high school, and are very excited! Girls basketball will be facing Krueger 7th is home and 8th is away.All games start at 4:30pm, so come support your Driscoll athletes ! Girls basketball does not have a game this week. They do have a tournament this weekend 8th is away at Harris and 7th is home at Driscoll. Everyone go supports your Driscoll athletes. All games start at 9 am. John Linney on Waking up Courage!